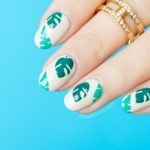 Are you a fan of nail vinyls? 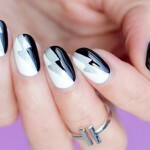 As a dedicated devotee of freehand manicures, I always thought that using vinyls somehow limited creative freedom. That all changed when I received a parcel from RockNailStar a few weeks ago all the way from Russia. Irina, the brand founder, has impeccable taste in patterns and always delivers an excellent quality product. How could I resist? 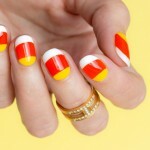 HOW-TO: To get the look, first paint all nails in pink, wait till it’s completely dry and apply nail vinyls. Then paint purple over the vinyls and right away but slowly and very accurately remove the vinyls with tweezers. 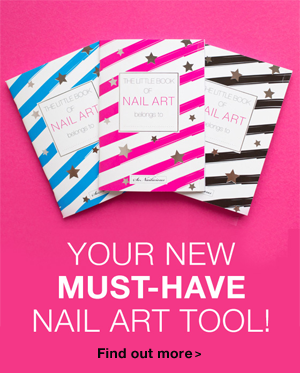 Allow your manicure to dry for 5 – 10 minutes and then apply high gloss top coat. 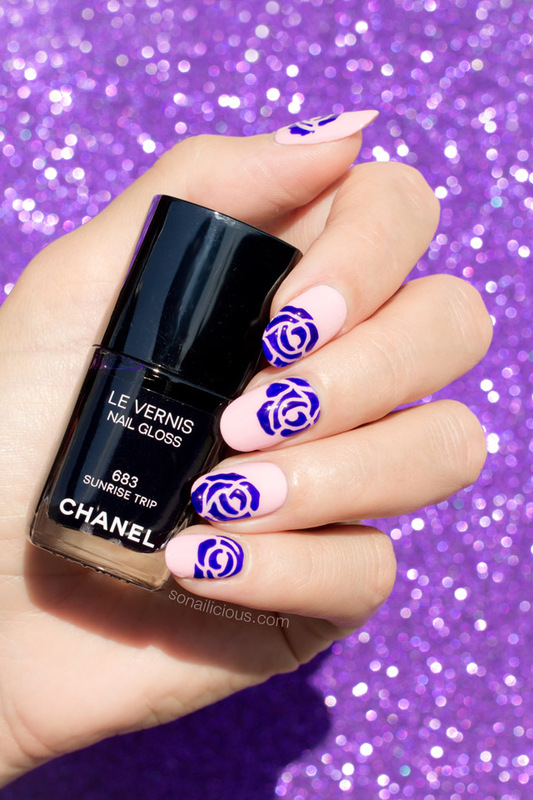 Used: Marc Jacobs Peep, Chanel Sunrise Trip, Essie Good To Go top coat and RockNailStar Romantic stencils. 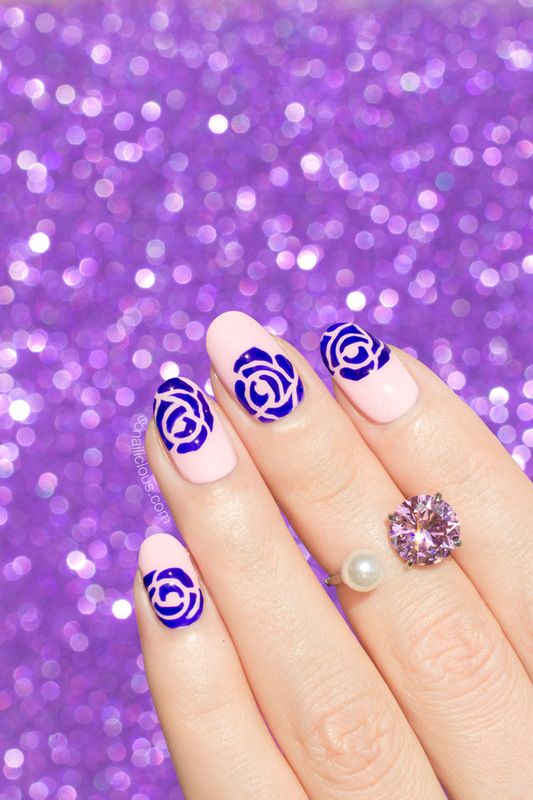 Are you a fan of Roses themed nail art? 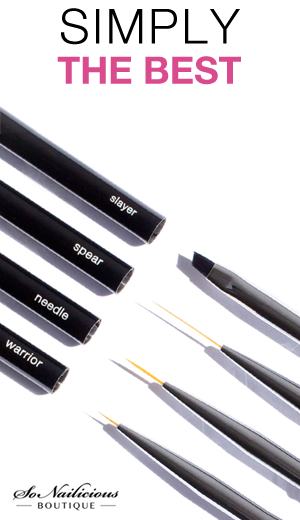 Do you freehand yours or use stencils? Want something a little more advanced? 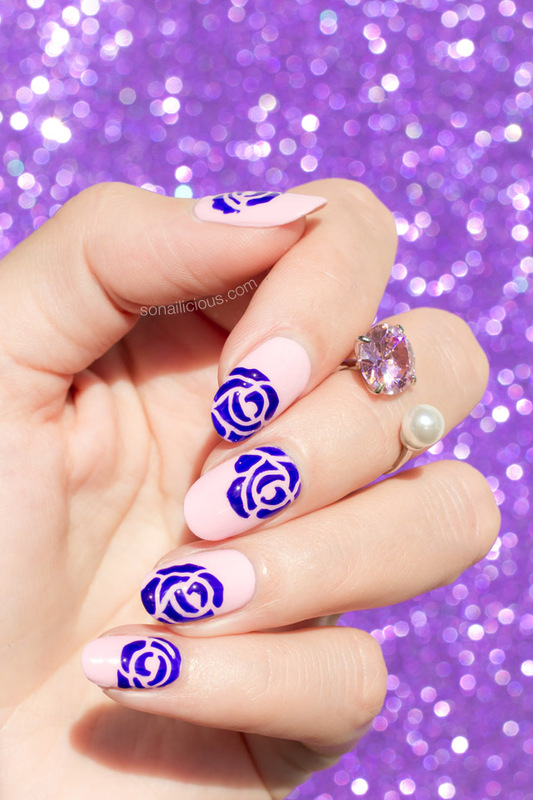 Check out this Floral Nail Art and these cute Summer Flower Nails.